A couple of favorites that I've talked about in previous blog posts (1, 2, 3, 4), have new news to report.... Ohio based ice cream maker, Jeni's Splendid Ice Creams, will be opening a scoop shop towards the end of August on the Westside of town right next door to Star Provisions. 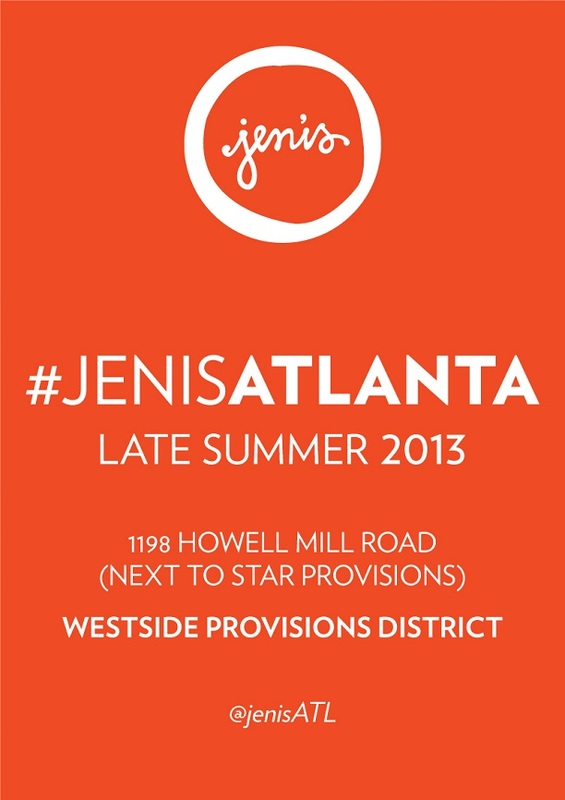 This comes on the heels of the rumor mill suggesting that Jeni's is also looking at retail space in the being-constructed-as-I-type, Ponce City Market. Additionally, my local coffee shop, Steady Hand Pour House, who lost their space here in Emory Village a couple months back (read more), has announced a partnership with The Bakery at Cakes & Ale (a cafe that I have made quite clear is my go-to #1 spot). Kicking off July 9, the Steady Hand crew will command the coffee side of things at The Bakery, and also watch for some overall design changes happening to the interior of the cafe. *Something about Summer that somehow turns the majority of my posts into food related stories.... This happened last year too -- read more here.